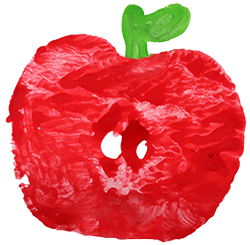 There is a lot of confusing information out there about weaning and food allergies, so it is difficult for parents to know what advice to follow. There has also been a lot of research into food allergies over the last 10 years and so advice has changed in terms of avoiding or delaying offering certain foods to babies. A food allergy is when the body’s immune system reacts unusually to specific foods. Although allergic reactions are often mild, they can also be very serious. Allergies are estimated to affect 1 in 14 (7%) of children under the age of three. In children, the most common foods to cause an allergy are milk, eggs, peanuts, tree nuts, sesame, soya, fish and wheat. 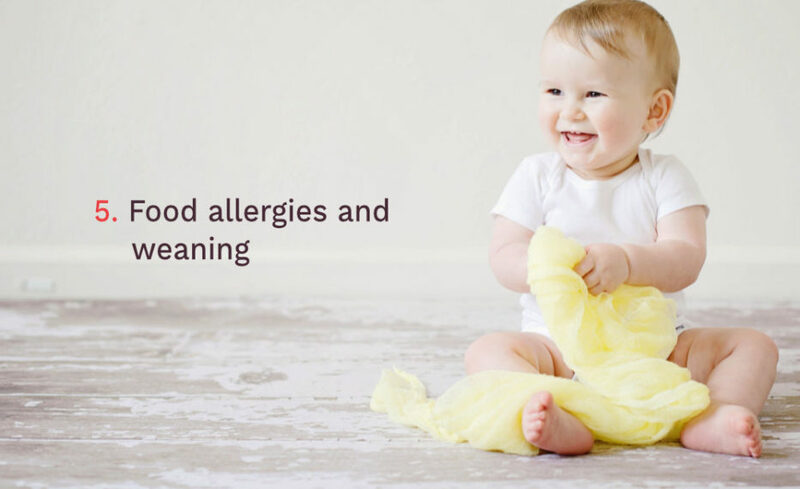 Some children with a different type of allergy can have delayed symptoms such as diarrhoea, constipation, worsening reflux, abdominal pain and worsening of eczema (please note there are many reasons, other than allergies, for these types of symptoms too). In 2018, the BSACI and the FASG BDA jointly published new guidance on the prevention of food allergy in babies. When thinking about food allergies and weaning, it is helpful to think in terms of babies who are at ‘higher risk’ of a food allergy and all other babies as two separate groups. If your baby has early onset eczema and/or an existing food allergy, they are considered at ‘higher risk’ of developing food allergies. They may benefit from earlier introduction of (cooked) egg and (ground) peanuts BUT this requires a discussion with a paediatrician who can advise you if you can introduce these foods at home or if your baby should be supervised in a hospital setting when these foods are introduced. The advice is to introduce the allergenic foods (cows milk, egg, peanuts*, tree nuts*, wheat, soya, sesame and fish) from 6 months of age, one at a time. There is insufficient evidence to suggest a particular order in which to introduce these foods, so do what works best for your family. You can introduce these foods after your baby has had ‘first tastes’ of foods such as vegetables. The aim of ‘complementary feeding’ is to introduce as much variety as possible, in both tastes and textures of foods, so try to introduce as much variety as you can. Once you have introduced the ‘allergenic’ foods, continue to give these in your child’s diet (if tolerated) so that their tolerance is maintained. *ground nuts or nut butters only (whole nuts are a choking hazard for babies and children under the age of 5 years.